Go to Flagstaff and you will feel like you’re in heaven, they said. It was so true after all. 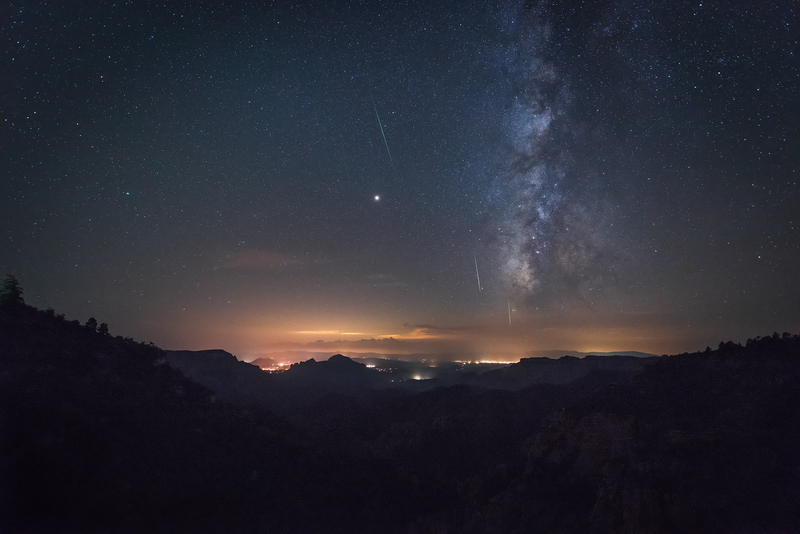 Standing on a cliff at the near edge of the world, in the heart of Coconino national forest surrounded by pine trees, watching the Perseid meteor shower was something I will remember the rest of my life. Night was long and dark, with occasional shooting stars traversing the night sky burning and blazing in green, and the view of the world like no other. A moment in life that was an eternal bliss. This Website and its contents are the property of Naikonpixels and are subject to copyright under the United States and international copyright laws and treaties. The use of any images or other materials included herein, in whole or part, for any purpose, including, but not limited to, reproduction, storage, manipulation, digital or otherwise, is expressly prohibited without the written permission of Prashant Naik. All contents are Copyright Protected © 2019 Naikonpixels. All Rights Reserved.